Textured Cuts. 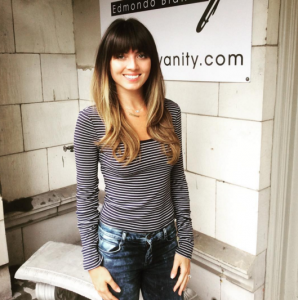 As seen by our client below, a textured cut provides volume, giving her hair a little extra oomph! This chic textured bob was achieved by adding some layers that framed the client’s face, instead of hiding it. Contouring. 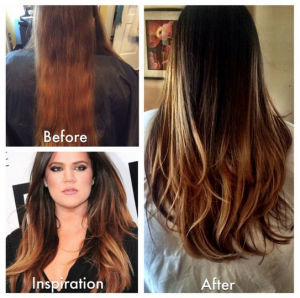 The ombre took the hair world by storm in 2015, but this year we predict we’ll be seeing a softer balayage that will focus more on framing the face. Contouring is soft and subtle but can completely transform hair, especially when paired with a long layered cut like below. Pixie Cuts. 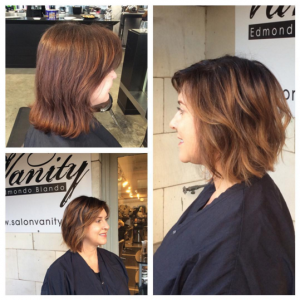 Everyone is loving this short, low maintenance style. 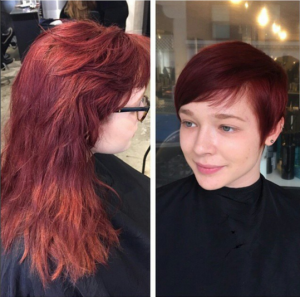 If you’re really looking to transform your look, there’s no better way to go. Need proof? Check out the transformation below. Long Bobs. A shoulder-length cut doesn’t have to be boring, adding a taper and some texture can take a look from drab to fab. Lobs have been seen this year on celebrities like Taylor Swift, Rosie Huntington-Whitely and Lauren Conrad. They’ve also been spotted all over Philadelphia on our gorgeous clients! 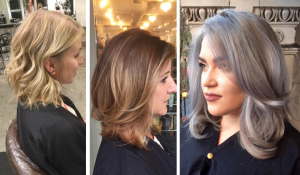 If you’re looking to jump into 2016 with one of these hot hair trends, visit our site to request an appointment.